Ole Miss Rebels offensive tackle Laremy Tunsil was arrested on June 25 in Oxford for domestic violence against his stepfather, coach Hugh Freeze confirmed on June 27. Laremy Tunsil, 20, turned himself into authorities, Hugh Freeze said, after he allegedly assaulted his stepfather, Lindsey Miller, in defense of his mother, Desiree Tunsil. Hugh Freeze said that Laremy Tunsil and his mother have pressed charges against Lindsey Miller. An Oxford Police Department spokesperson could not confirm if Laremy Tunsil and his mother have indeed filed charges. In a statement, Coach Hugh Freeze said: “Laremy realizes he could have handled it differently. 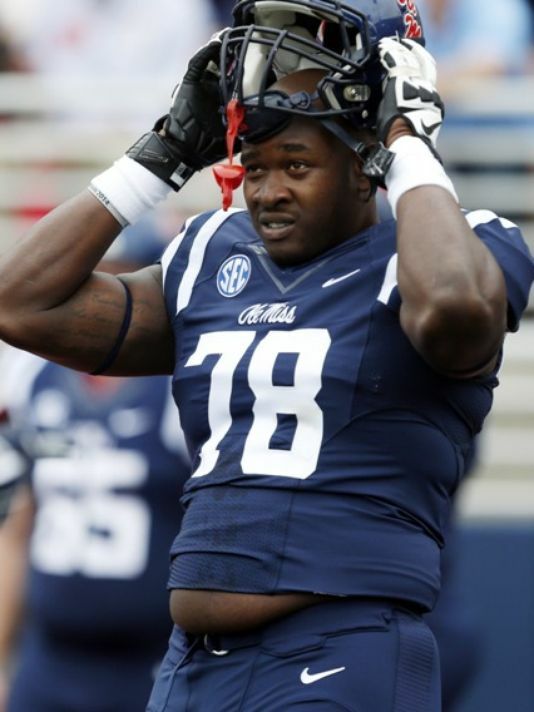 Lindsey Miller told The Clarion-Ledger that he denies the report and alleges the incident occurred after an argument with Laremy Tunsil on Thursday afternoon. He claims he never pushed Laremy Tunsil’s mother and that Tunsil instigated the fight. Lindsey Miller also said Laremy Tunsil struck him six to seven times. An Oxford Police Department spokesperson said Laremy Tunsil’s arrest report would not be made available until June 29. According to a report from ESPN, Laremy Tunsil was at his mother’s home when the incident occurred. Lindsey Miller shoved Laremy Tunsil’s mother and in response Tunsil punched his stepfather, a source told Brett McMurphy. “As we gather more facts, we will act and make a decision accordingly,” Hugh Freeze said. The 6-foot-5, 305-pound junior is one of the nation’s top offensive linemen and is a likely top five pick in next year’s NFL draft. ESPN draft expert Mel Kiper Jr. projected Laremy Tunsil as the second overall selection in his first “big board” for 2016. An unnamed NFC scout told NFL.com that Laremy Tunsil’s situation would be met with understanding by NFL clubs, “if it checks out”. This summer, Laremy Tunsil has been tabbed a preseason All-American by a host of media outlets. He was an All-SEC selection last season. Laremy Tunsil is currently rehabbing a broken leg and dislocated ankle, an injury he suffered in December during Ole Miss’ loss to TCU in the Peach Bowl.